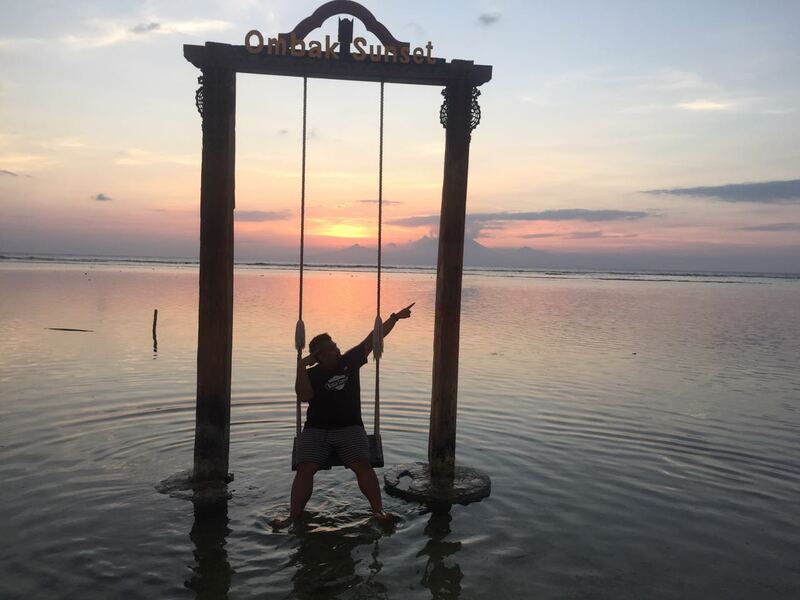 The Datu Swing on Gili Trawangan , located west of the island and is one of the most cherished experiences for many visitors to the island . 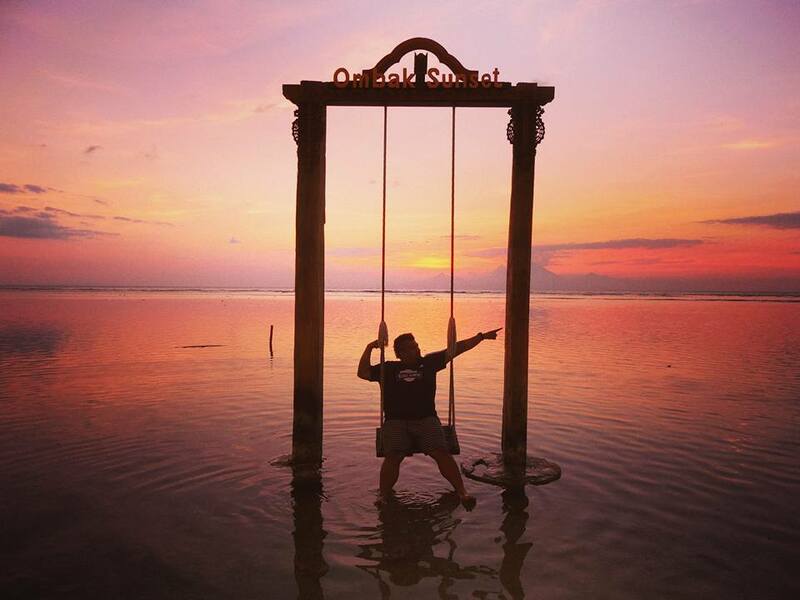 MTV Australia has named the Datu Swing as one of the top “7 Activities to do in Bali with an epic backdrop” . The name Datu is the traditional name for the highest royal caste in Lombok. 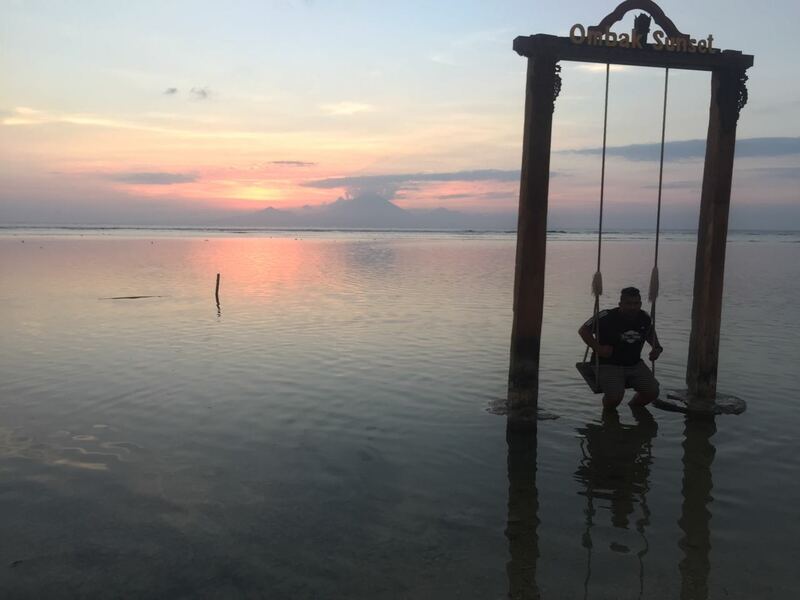 As you witness the beauty and awe of the magnificent sun descending behind the grand Mount Agung to the last drops of rays blessing the world in a gentle, warm orange glow - you can’t help but feel as if you are in the presence of royalty, and in those moments – you are safe, and sound with no worries . 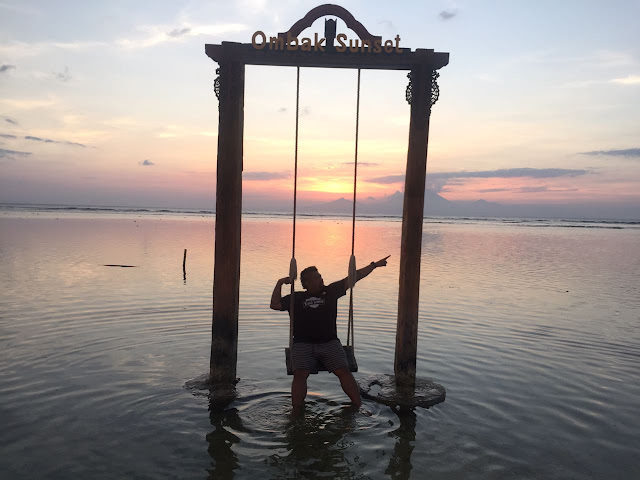 The Ombak Sunset resort on Gili Trawagan island reaches peak breathtaking-ness at sunset-time. 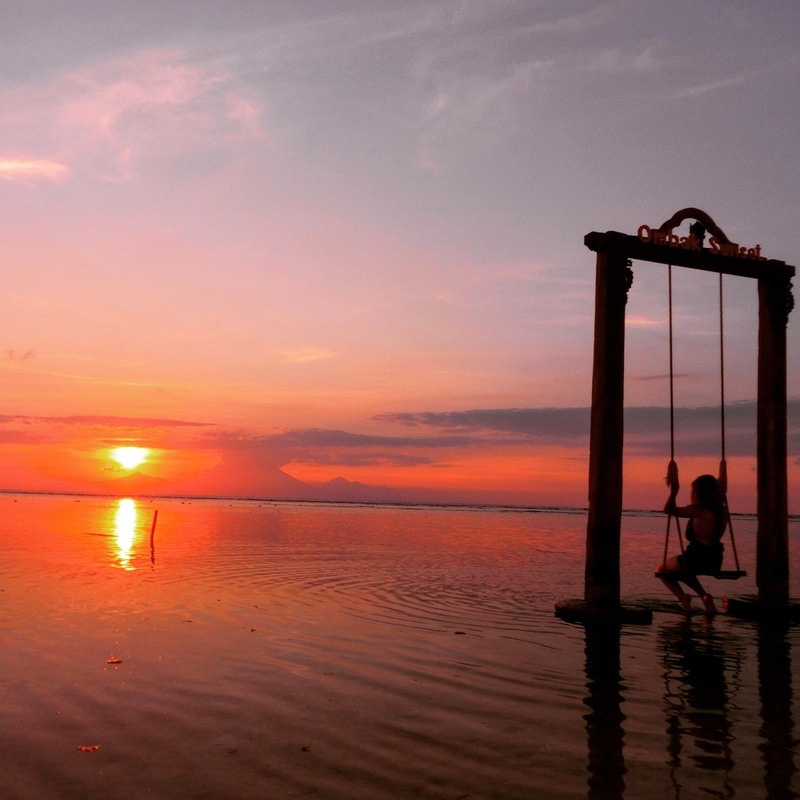 ‘The Swing’, a wooden fixture with two swing seats built onto the ocean floor, is kind of amazing. In low tide, you can wade out in the shallow waters to relive your childhood and swing away your adult sins . 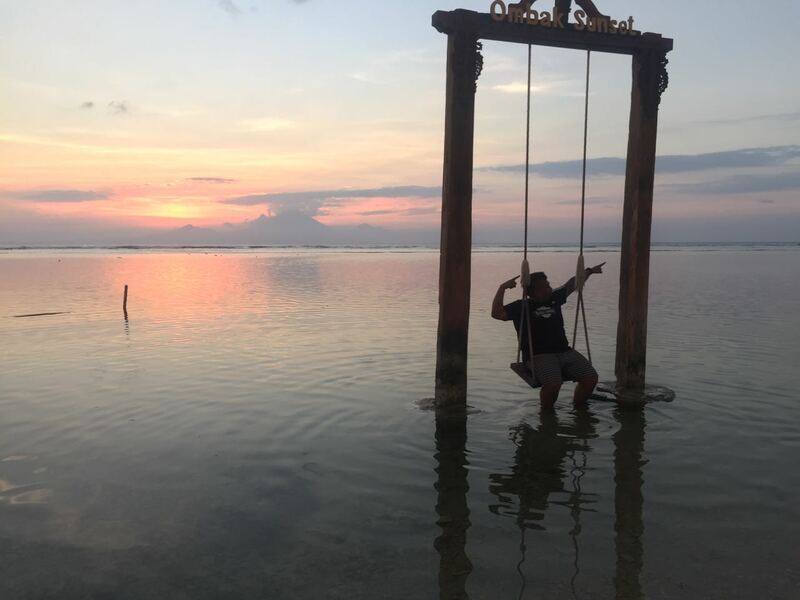 This is probably better to do when the tide is high because it would really show that the hammock and swings are actually in the sea . Just make your way up or down the western part of Gili T , and you are bound to see these sea hammocks and swings . The swings at Ombak Sunset is pretty popular so chances are you would have to queue to get a picture here . The queue at Sunset were pretty crazy , but if you get here early enough you won’t have to wait very long .